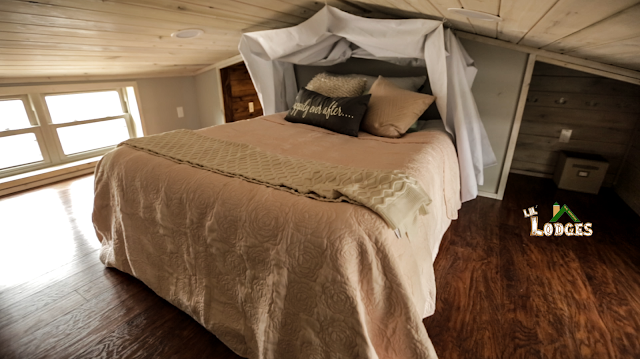 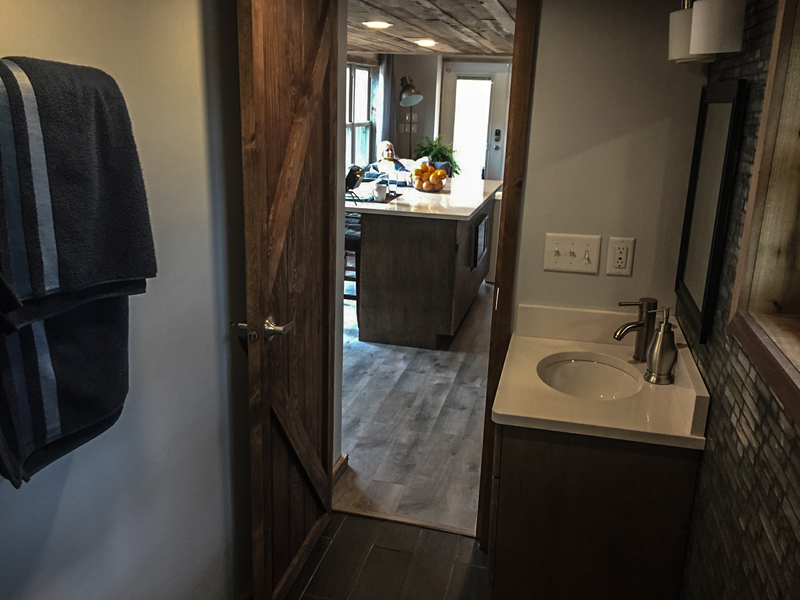 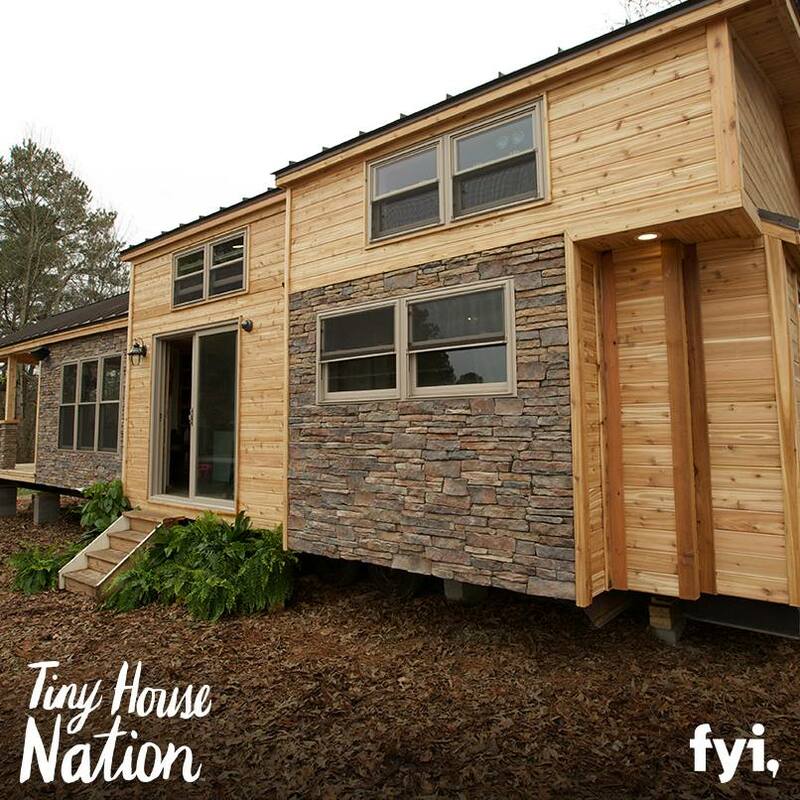 This tiny house is a certified Park Model Recreational Vehicle (PMRV) which means you can bring it along with you almost anywhere for a road trip! This particular model is a more permanent retreat in Cobleskill, NY. Nestled in the woods as a retreat for its owners, the home has a wide variety of amenities to make the home extra comfortable. 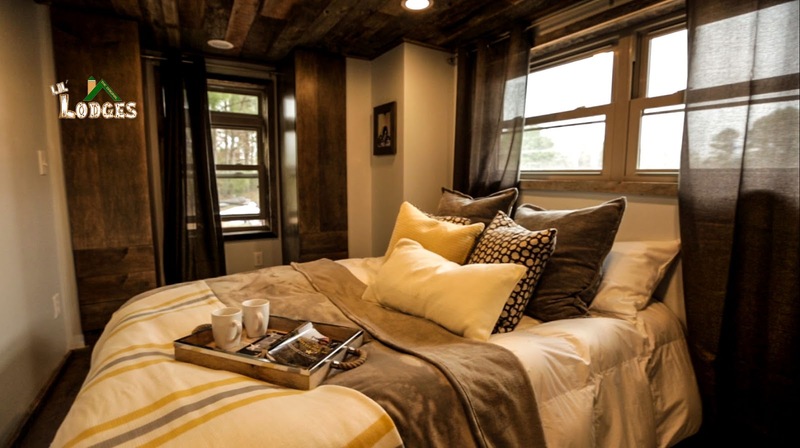 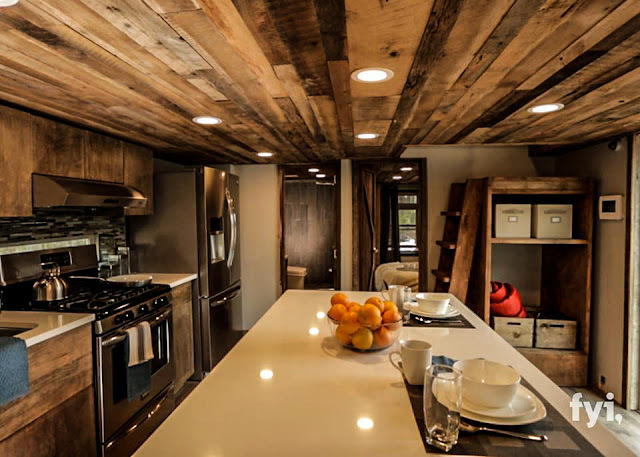 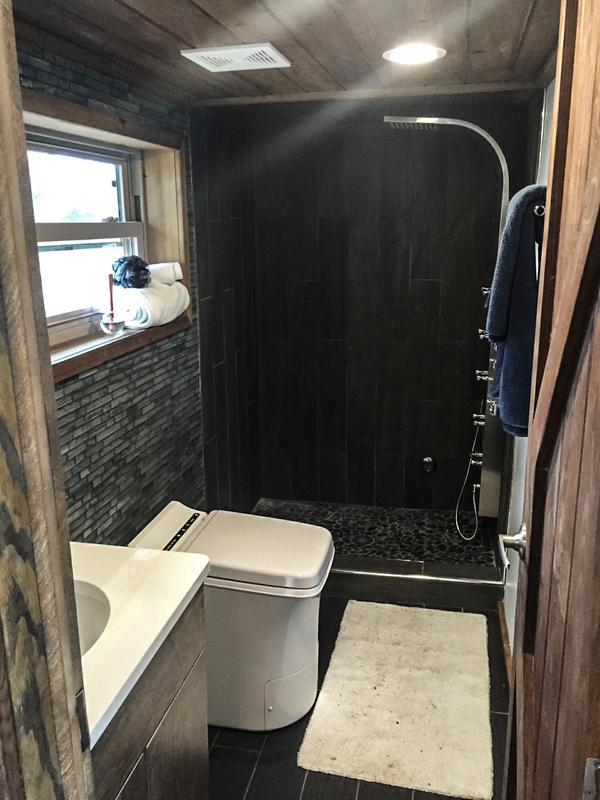 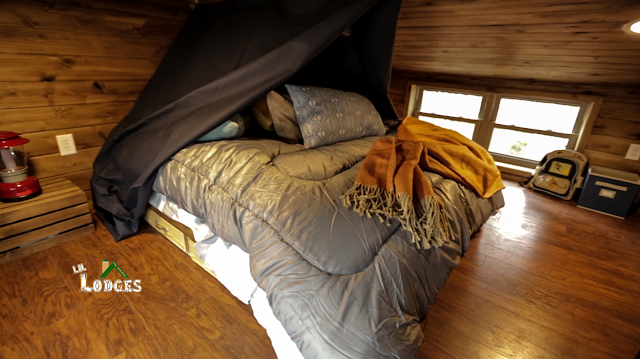 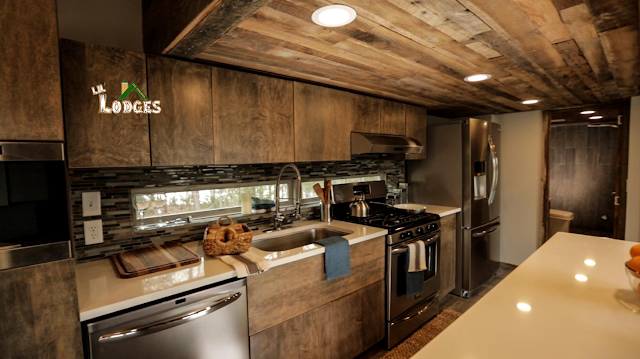 It was also featured on the popular tv show, Tiny House Nation. 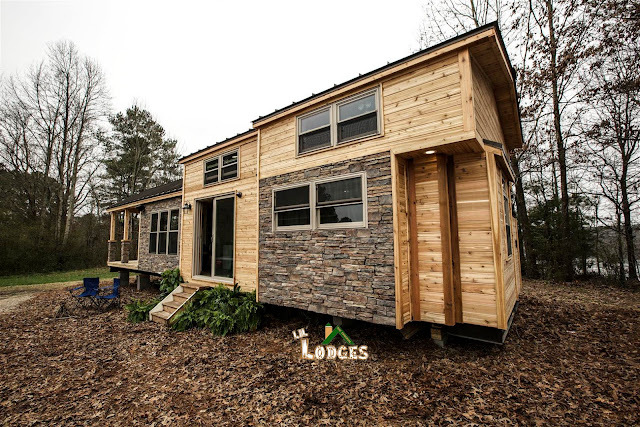 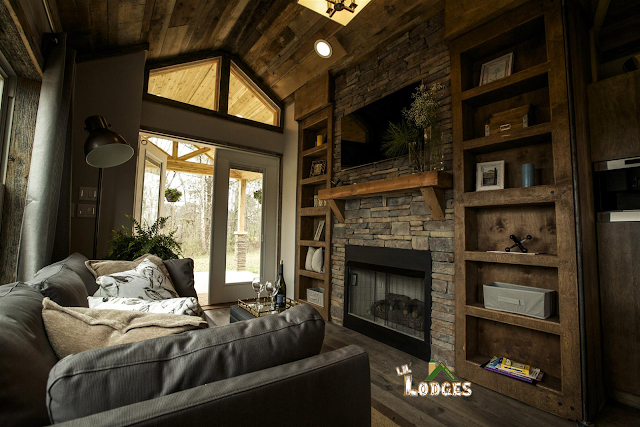 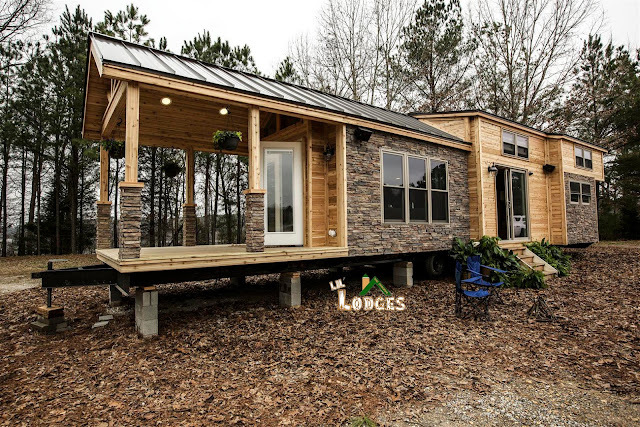 The home is made by Lil Lodges of Bear Creek, Alabama.